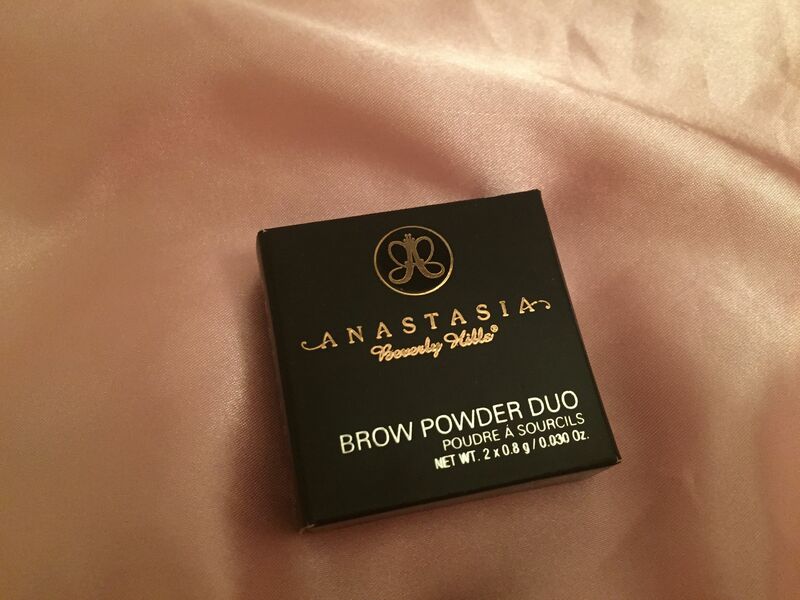 Anastasia Brow Powder Duo was my second brow product (I don’t count tweezers, obviously). Long time ago I bought a Sephora brow set which absolutely didn’t work for me and after that one unsuccessful attempt to liven up my brows I was very hesitant to try something else. Normally I’d just wax my eyebrows every week, pluck them if needed with tweezers and use a Benefit highlighter under the arch of my brows for a lift effect. 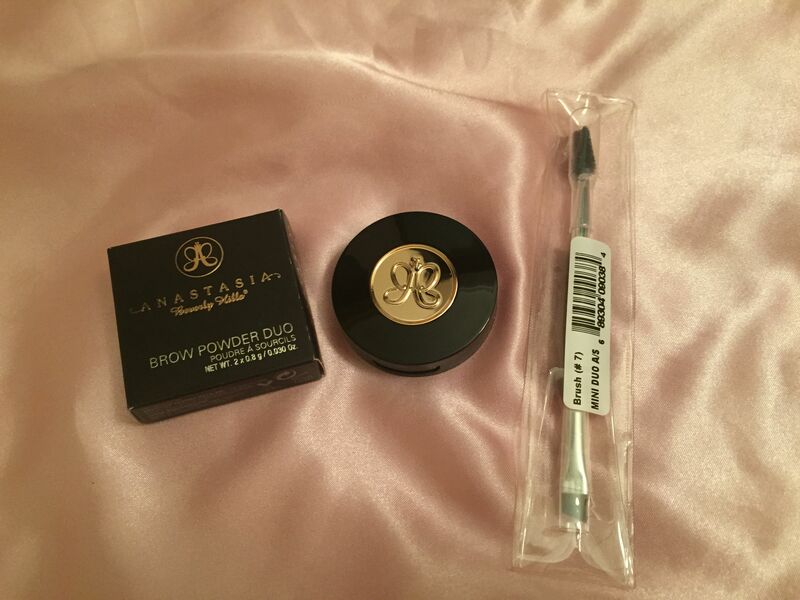 However, finally I decided to try brow powder by Anastasia and I am very happy that I did. 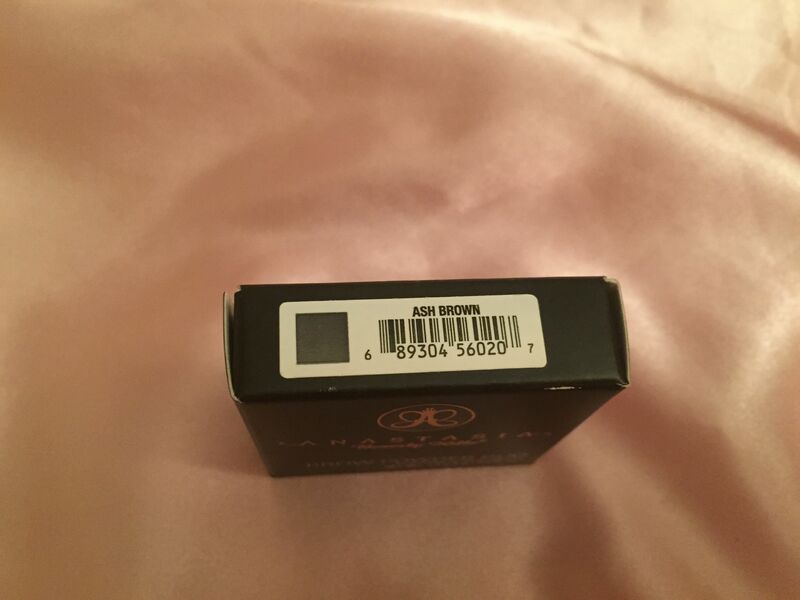 Anastasia Beverly Hills is famous for its brow products: they sell brow powder, pomade, pencils and brushes. When I was researching the best brow tint product I was torn between a powder duo and a pomade. Eventually I went with the powder because it seemed easier to use for such a brow makeup amateur as me. 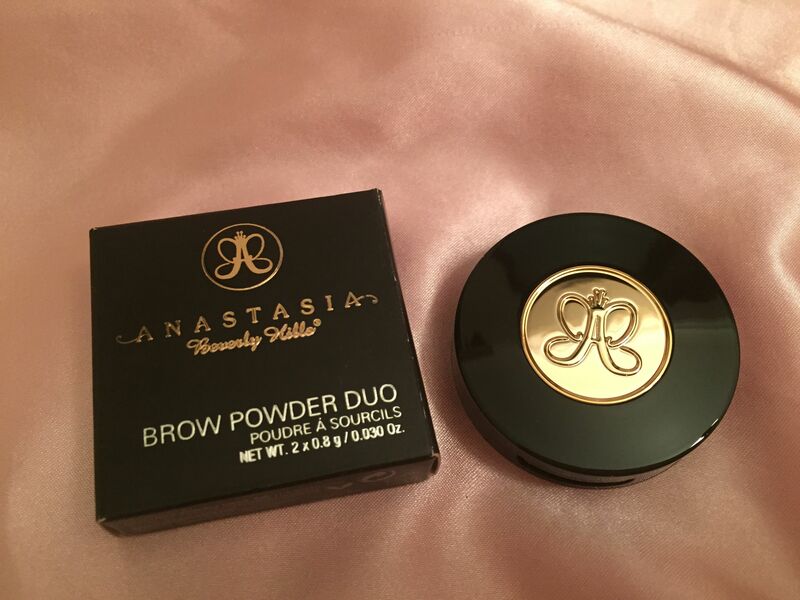 Anastasia Brow Powder Duo is $23 which seems pretty reasonable for a high quality product. However, keep in mind that you’ll also need to buy a brush for it. It is also by Anastasia – Mini Duo Angled/Spooley – and costs $18. 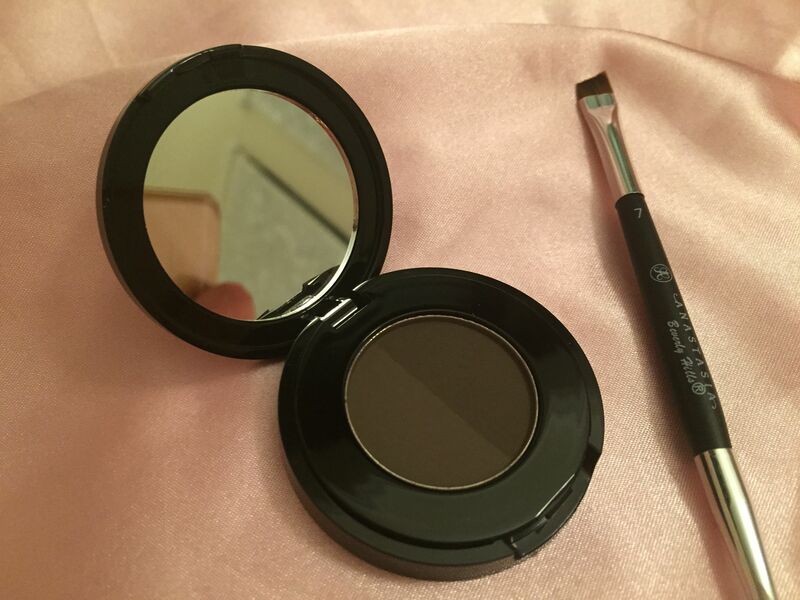 The powder duo comes in a small black case with a mirror – it’s so small what I’ll probably never use it. The case is sturdy enough and opens easily. The brush is nice too: it has a multilacquered wooden handle and feels good in my hand. Both angled and spooley ends are well-made and designed specifically for applying the brow powder. The hardest thing for me was to pick a right color. I had to go to the store to pick and spent about half an hour while to differentiate among various shades offered. I am brunette with auburn highlights, have medium skin and dark gray brows. My first choice was Granite (cool dark brown) – well, it turned out to be practically black and way too dark for me. Ebony (deep neutral brown) seemed too dark as well. In the end I decided to go with the Ash Brown shade which I would describe as deep natural brown with gray undertones. It took me some time to learn how to use this duo. One side is a bit lighter than the other and it’s the one I use the most. 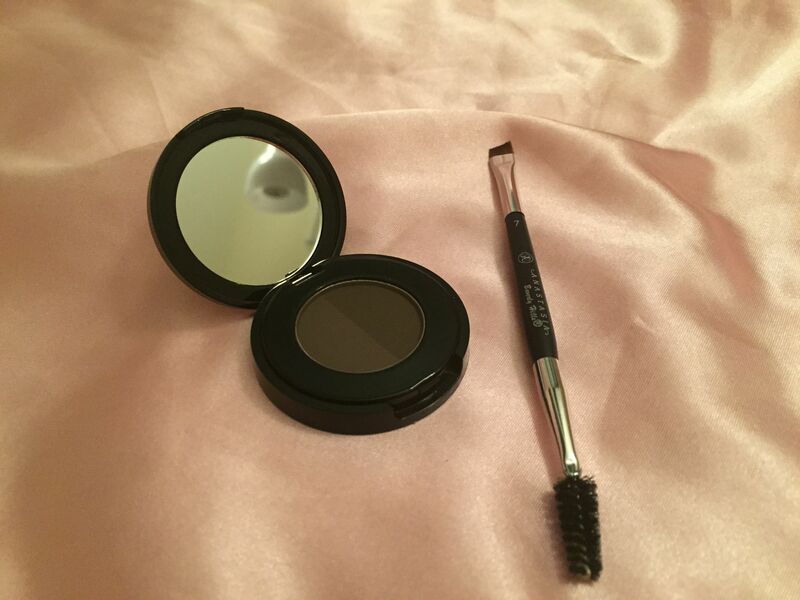 The directions provided by Sephora website were very useful: first I fill in sparse brows with the mix of both shades – I do short, light strokes with an angle-cut end of the brush. It’s very important to put just enough of the powder – otherwise, the brows will turn out too dark and too thick. Then I use the spooley brush to pull the color through. Then I see if I need to add any more color to the end of my brows – if I have to, I apply a bit more of the darker shade to those areas, then apply the lighter shade all over the brows. I finish with pulling the color through again and brushing brows into shape using the spooley brush. As a result, my brows look fuller and more high-definition. At the same time they still look natural. Also, somehow fuller brows make my eyes look bigger which is a nice bonus. 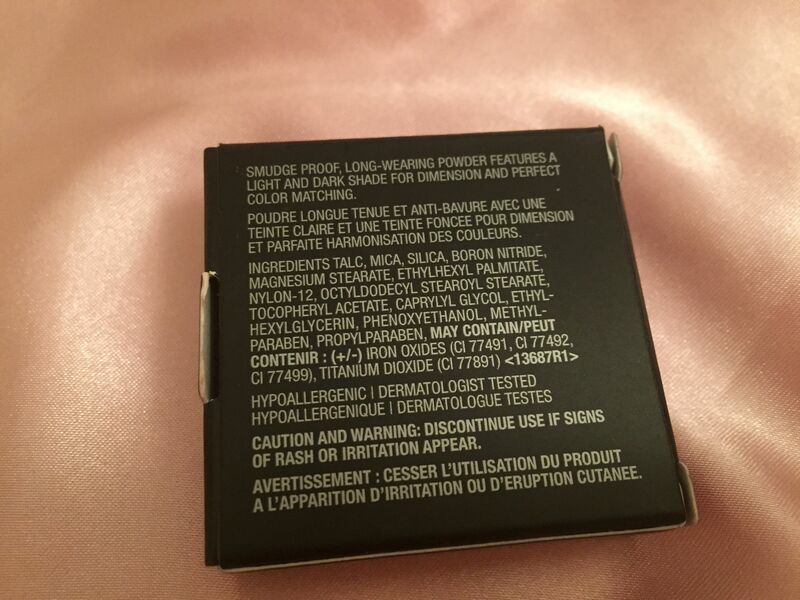 I’ve been using this powder daily, it became a vital part of my makeup routine. It is also water-resistant and very long lasting — I would do my makeup at noon and at nine in the evening my brows will still look as perfect as they did in the morning. There is a sufficient amount of powder in the case and I expect this product to serve me for a long time. 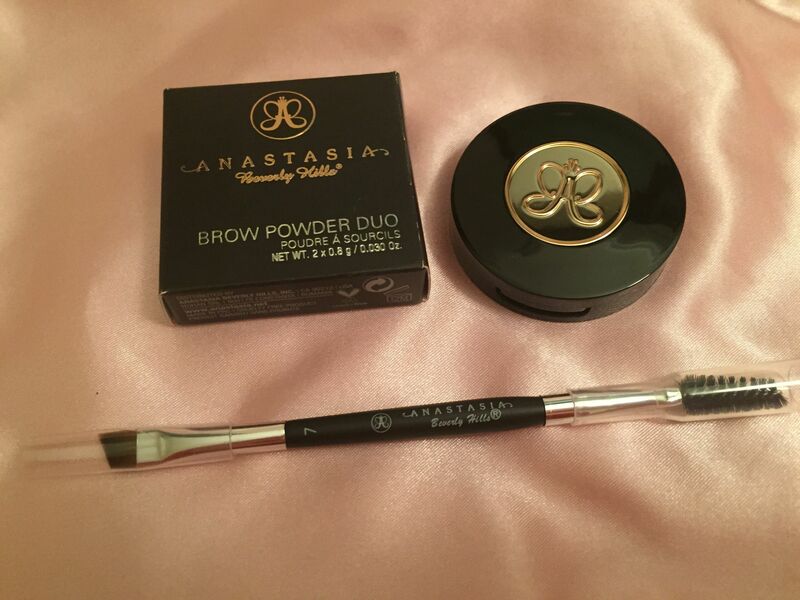 When I was shopping for this powder, I bought the second set of the duo and the brush for my mother-in-law. She is a fair blonde so I got her the powder in Taupe (cool taupe) color. She is very pleased with both products.